Open spaces have always formed an integral part of the settlement planning in the traditional settlements of Kathmandu Valley in Nepal. These have been inbuilt in the form of public and private courtyards, chowks, pati’s and water ponds in the core settlement areas. The open spaces have been used not only for performing the personal daily activities but are also commonly used as an area for celebrations and festivals as well as other social events year round. Open spaces played a significant role in the traditional planning practices where housing was densely planned for security purposes and preserving the agricultural land, the basis of subsistence in the agriculture-based society. Thus open spaces have been and still are important elements in the traditional settlements of the Kathmandu Valley. Additionally, the open spaces were important from a disaster risk reduction point of view: the locals use them for shelter during earthquakes. Now these open spaces are deteriorating and lack proper management. The influence of modern culture has brought considerable change in the usage pattern of public space. 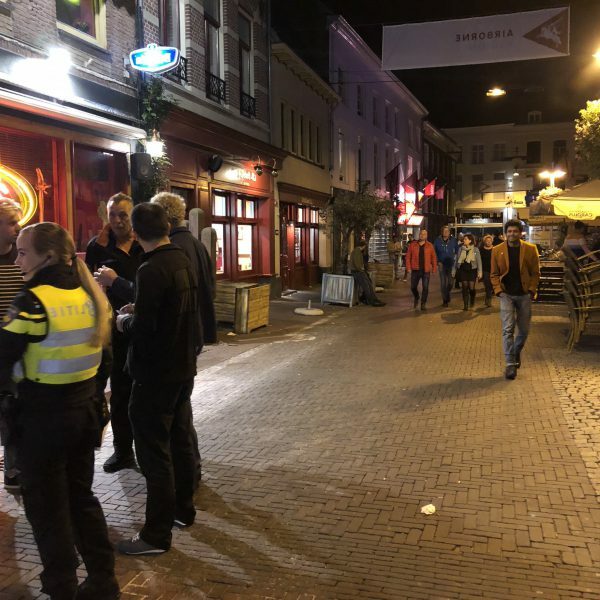 Activities that were once performed in public have been confined into the residences, with people focused on more individualistic activities than communal. The public spaces that in the past were well taken care off, have slowly started collapsing. Maintenance on a municipal level is ineffective and lacking. The public spaces are rapidly deteriorating and other uses (such as car parking) are encroaching on their space. 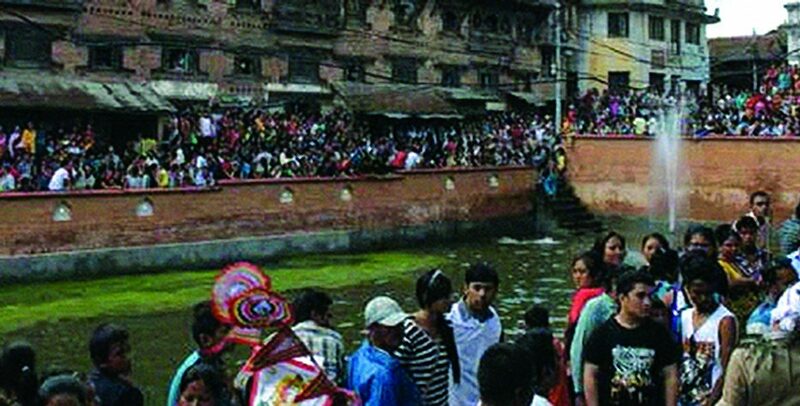 The solution is to revitalise Kirtipur through promoting a people-centric pond and public space improvement and establishing a management structure to maintain the public spaces. The project is tri-fold: to improve the traditional water management system, to conserve and enhance existing public spaces for the better utilisation by communities, and to build capacity of local community and local government in public space management. 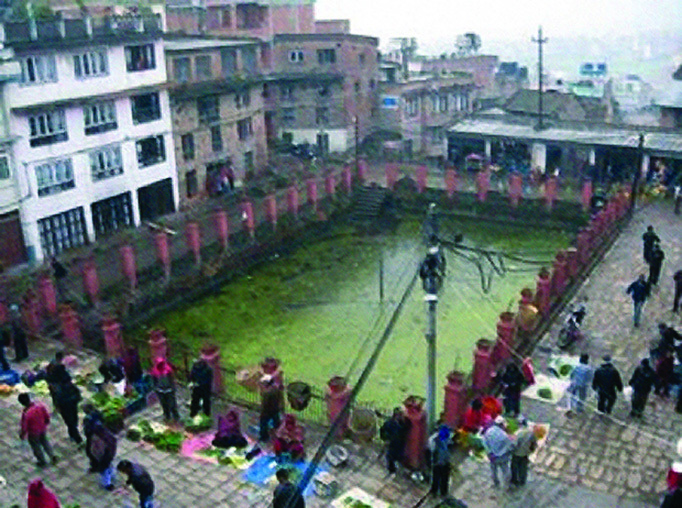 One of the key open spaces in the historic core area of Kirtipur is the Bagh Bhairav temple and its surroundings. This area was chosen as the pilot project for demonstrating people-centric open space management. The traditional pond (Deupukhusi) and rest places (pati) are some of the significant traditional elements existing in the area. The pond was in a neglected state, despite its sociocultural importance. The land where the rest places (pati) were located had been encroached for private car parking use. With joint efforts between the municipality and the local community, the rest places were returned into their original style and public use, during the renovation of the pond. The renovation aimed to create a more people-friendly space for social gatherings and interactions. From November 2013 to March 2014, UN-Habitat, Mojang and the Centre for Integrated Urban Development (CIUD), the local implementing partner, worked together to conserve and enhance Dey Pukhu and the surrounding areas. 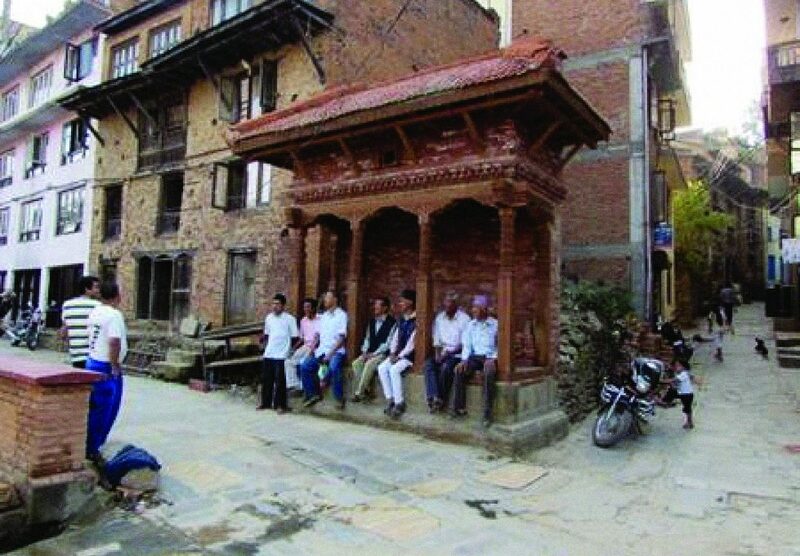 Through community participation and stakeholder engagement, plans for up-grading Dey Pukhu public space project in Kirtipur has been completed, the municipality has been inspired to also embark on developing a Public Space Revitalisation Plan for the whole of Kirtipur. This plan includes an analysis of all the existing public and open spaces, strategies for their revitalisation, embracing a participatory design process and allocating resources from the municipal budget. The experience from Dey Pukhu also inspired the same team to start a second project in Kirtipur together with the community. The site is a large green open space (park), which includes a school, a temple and important water points. The construction work was carried out with the help of different stakeholders: implementation team, municipality and community representatives, and local workmanship. The coordination of different stakeholders provides for more sustainable and manageable future. Different trainings were organized in order to raise the awareness of the project. These trainings built local capacity in community-led planning and management, pond conservation, public space management, and sustainable urban drainage. Setting up a framework for the maintenance of the pond walls, waterspouts, etc. The Pilot project at Dey Pukhu and the lessons learnt have been significant in giving direction to formulation of the revitalisation plan. Community consultations were an integral part of the design and implementation for the Dey Pukhu public space site, but also in the formulation of the plan. Revitalisation of the traditional inner core was important to improve the image of city, enhance the quality of life, and boost the city at eye level. 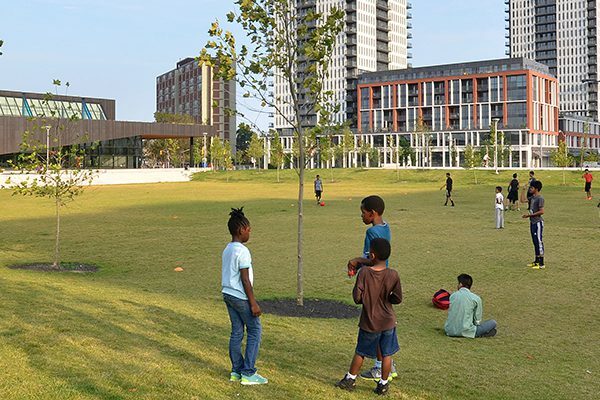 It is also being increasingly acknowledged that investing in public space brings measurable economic benefits by stimulating growth in visitor economy (tourism), raising property values, and increasing commerce for local business. To improve the image of the city as a liveable, traditional and historic city, it is essential to create a network of quality streets and spaces for transformation. 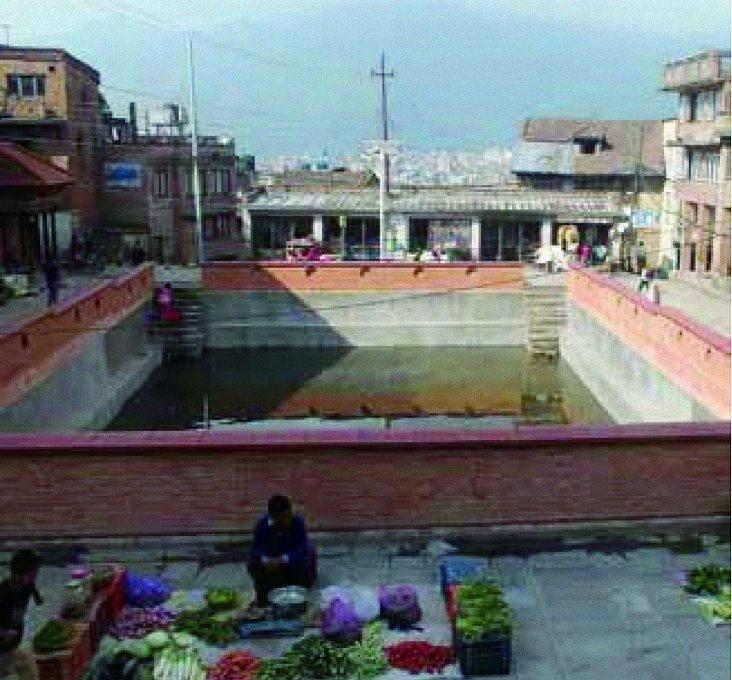 The revitalisation plan of Kirtipur aims at the development of the traditional city core in a holistic approach, making it more economically and environmentally sustainable by welcoming tourists, encouraging pedestrian routes and enhancing the use of the open space. Important aspects of the program are community planning, sustainability, local fundraising, program ownership, and the operation and maintenance. Overall the program is directed to create a vibrant, dynamic and inclusive city that encourages the use of its assets.